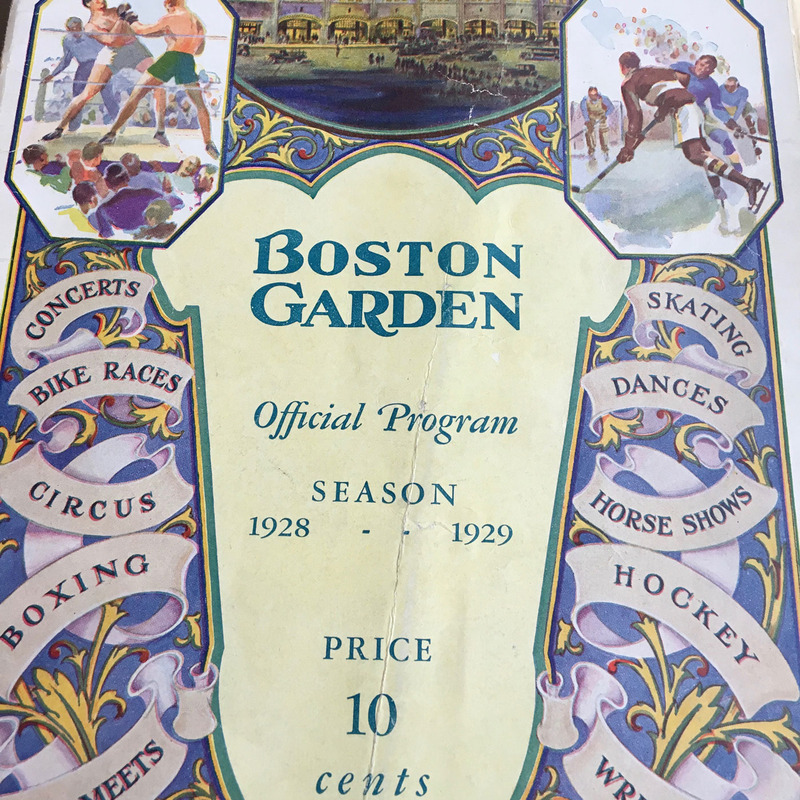 December 18, 1928 Game program from the first year in Boston Garden history. 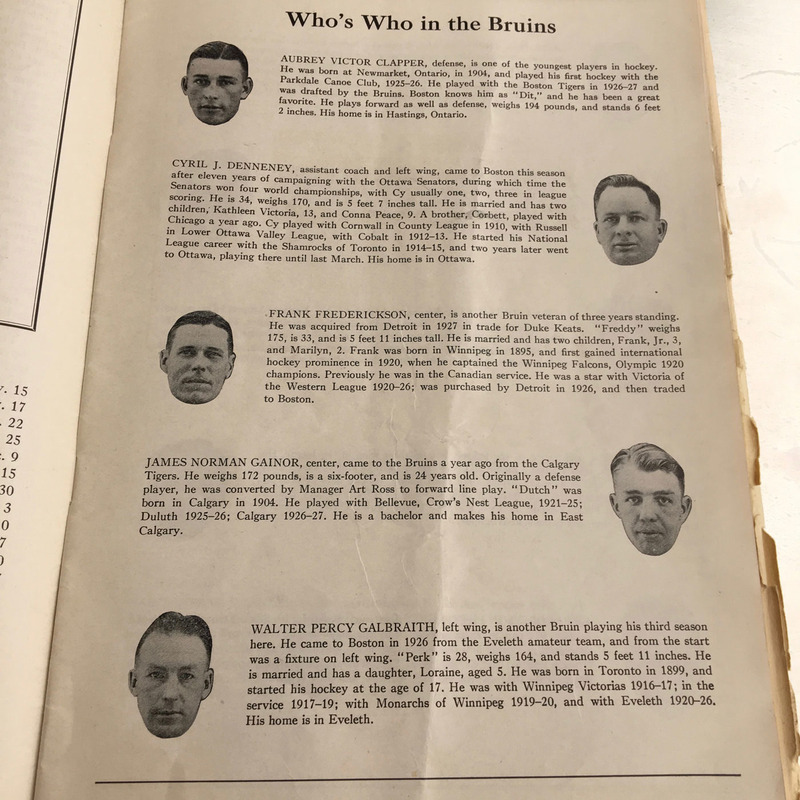 The program is very comprehensive with many features on the Boston Bruins players, Harvard players and Boxers of the era. 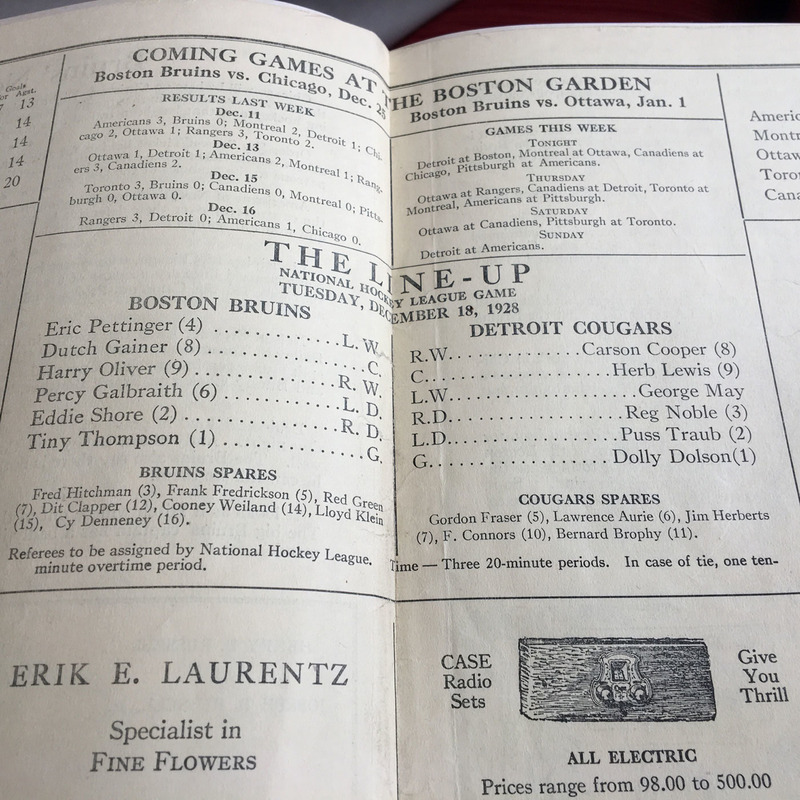 The Boston Bruin programs from this era had the most content of any NHL programs offered by the NHL teams. 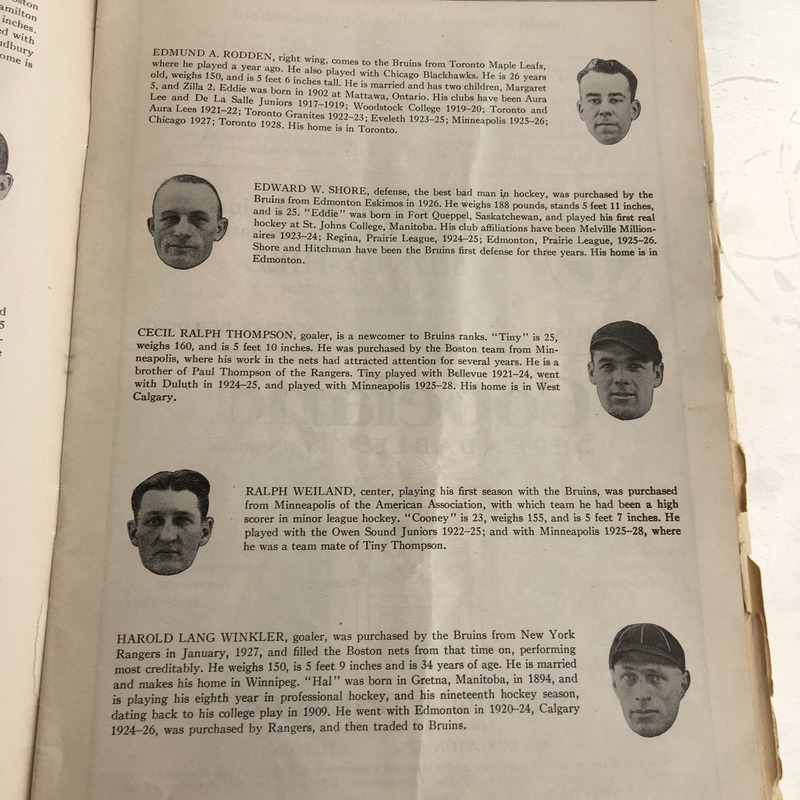 This program has the original line up page insert with no writing. 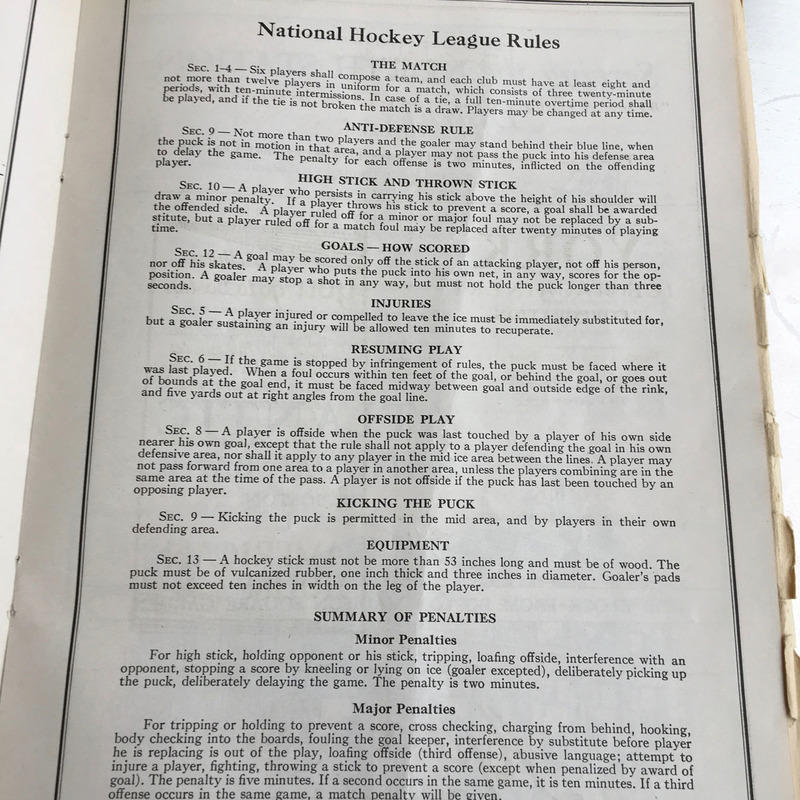 The page has some fraying on the edges. 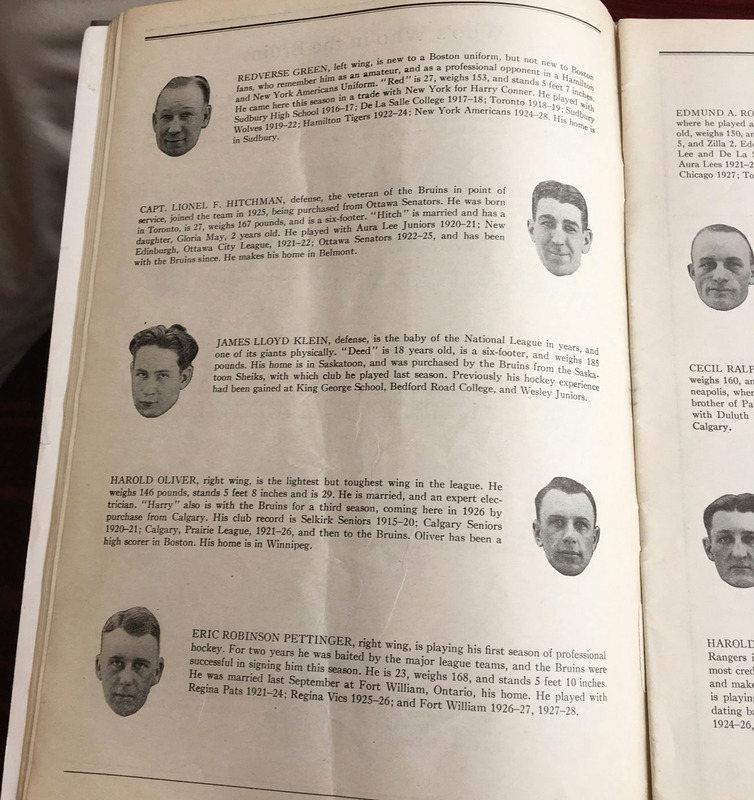 There are three pages removed from the program. 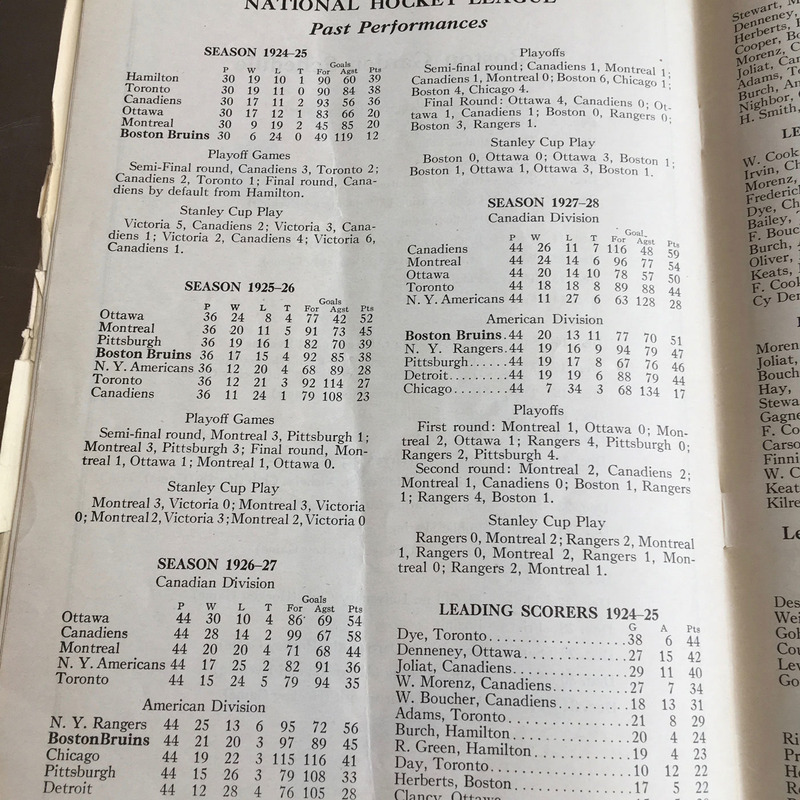 From other 1928-29 Bruins programs I can determine that they were not significant articles based on the consistent content and location of such in the programs from this year. They were likely a boxing photo and/or advertisement.